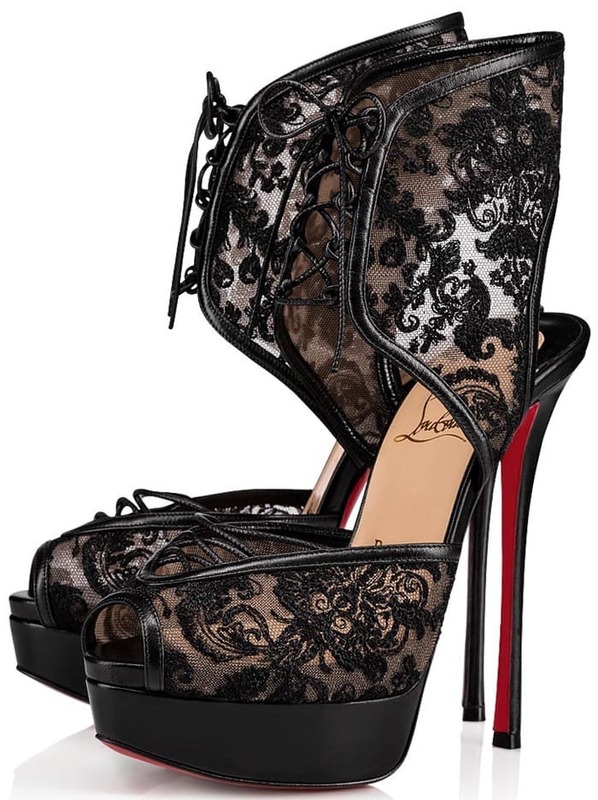 Balanced on a slender, 150mm sky-high heel and kidskin wrapped platform and structured on the beloved Fetish Peep silhouette, Jose Altafine from Christian Louboutin is an ode to audaciousness. Available in black and silver at Neiman Marcus and Saks Fifth Avenue, the red sole peep-toe d’Orsay pump is covered in ultra-feminine Rete and Comtesse lace recalling the elegance of fine lingerie. The high upper is extended to a thick slingback sensually curving around the heel and hugging the ankle. Which color do you like best? 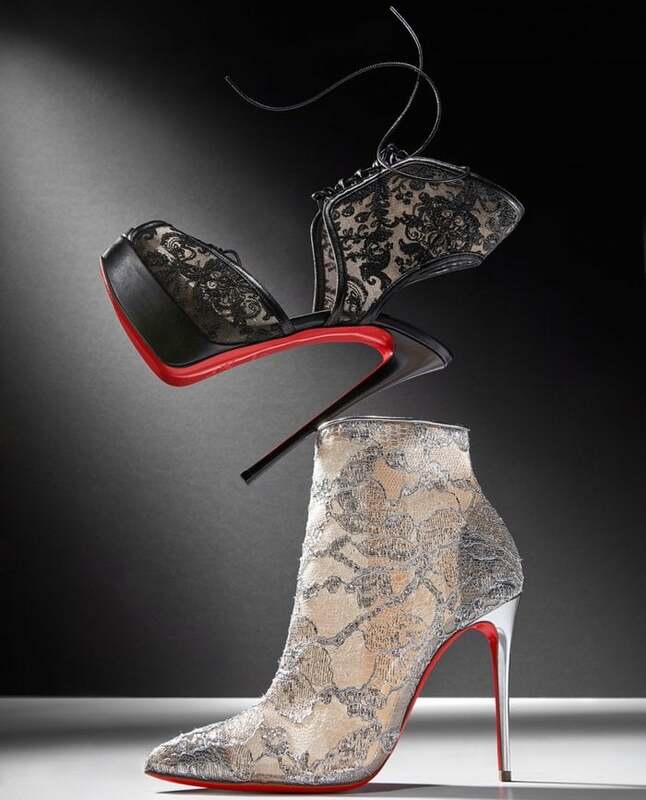 Also pictured below is the designer’s Gipsy bootie in metallic lace with napa leather piping.